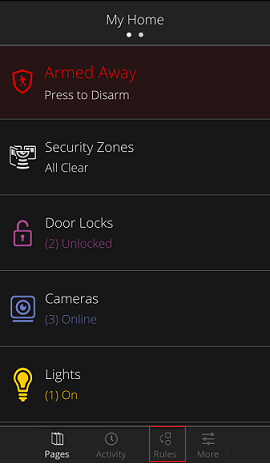 With the Homelife Mobile App, you can set up individual, personalized Rules for your home's security, lighting, energy usage, and more. You can also set up alerts and notifications for when predefined events occur. To add Rules in the Mobile App, follow the steps below. Sign in to the Cox Homelife Mobile App. On the My Home screen, tap the Rules menu. On the Rules screen, you see the rules you currently have set up. 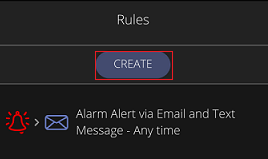 To create a new rule, tap CREATE. The screens walk you through each step to setup a new rule. 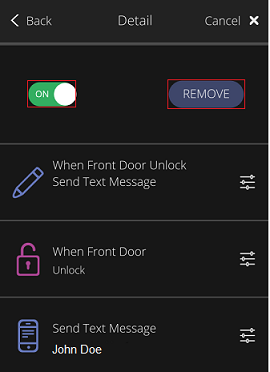 As an example, steps to set up a rule for when the Front Door Lock opens to send a text are outlined below. 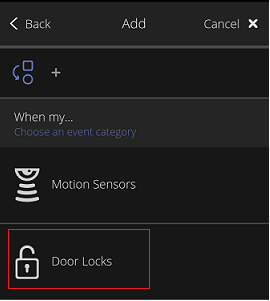 On the Add screen, tap the Door Locks tile. 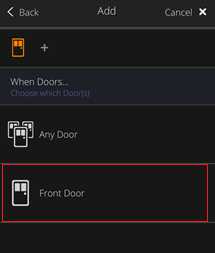 Tap the Front Door tile to choose which door lock you want to make the Rule. 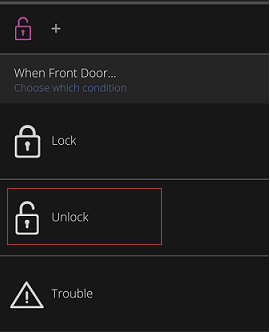 Tap Unlock to choose which condition you want to make the Rule. 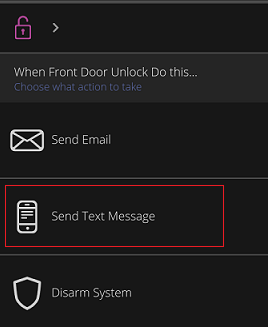 Tap Send Text Message for the action you want the Rule to take when the front door unlocks. Tap the box next to the contact / phone that you want the text message sent to and tap NEXT. 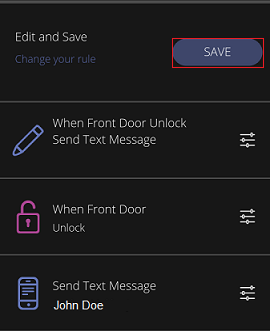 On the Edit and Save screen, tap SAVE to save the rule. The new Rule displays on the Rules screen. 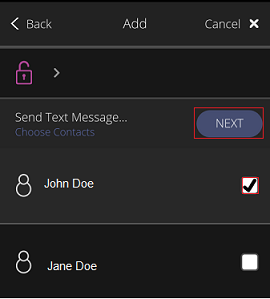 Follow the steps below to disable or remove an existing rule on the Mobile App. Tap the tile for the Rule that you want to disable or remove. On the Detail screen, toggle the button OFF to temporarily disable it, or tap REMOVE to delete it. If you select REMOVE, the confirmation pop-up screen displays. Tap NO / CANCEL or YES / OK. If YES / OK is selected, the Removing Rule pop-up screen displays advising the rule is being removed.